The legend of Chris Gayle continued to grow in company of young KL Rahul as Kings XI Punjab outclassed Kolkata Knight Riders by nine wickets in a rain-hit IPL encounter in Kolkata on Saturday. 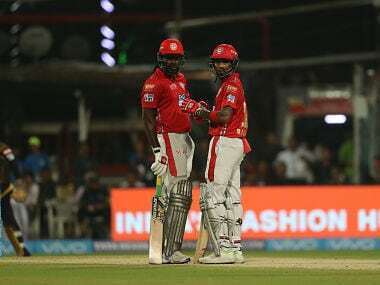 Kolkata: The legend of Chris Gayle continued to grow in company of young KL Rahul as Kings XI Punjab outclassed Kolkata Knight Riders by nine wickets in a rain-hit IPL encounter in Kolkata on Saturday. 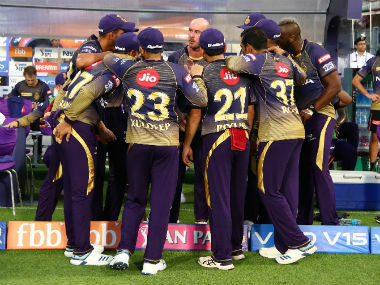 While KKR scored a competitive 191 for 7 in 20 overs, KXIP had a revised target of 125 in 13 overs after a sharp spell of shower halted play for 95 minutes. Gayle completed a hat-trick of half-centuries with an unbeaten 62 from 38 balls that had five fours and six sixes while Rahul helped himself to a 60 off only 27 balls. Gayle hit the winning runs six off Tom Curran over long-on as they sealed the issue with 11 balls to spare. 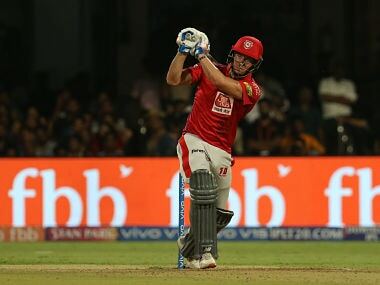 Having scored the fastest half-century in IPL, Rahul once again underlined his credentials as an opener in shortest format with nine fours and two sixes as KXIP climbed to the top of the table with eight points from five games. This was also their first win at the Eden Gardens since 2012. 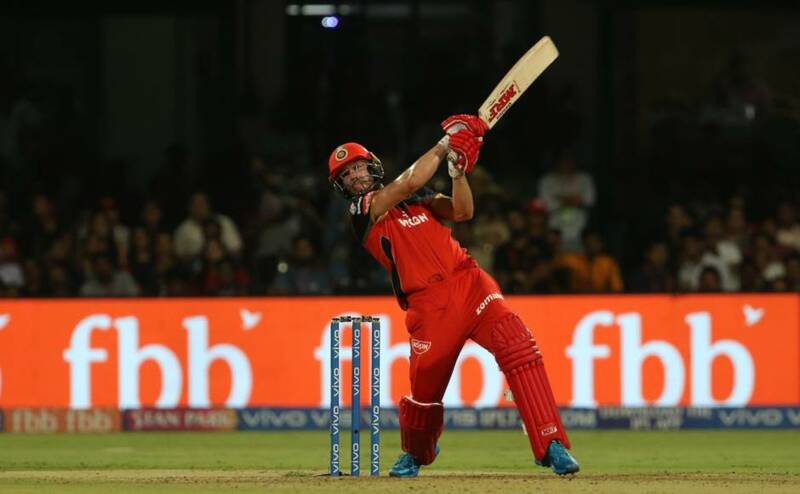 KXIP were 96 for no loss in 8.2 overs, 31 runs ahead of the DLS par score, when rain halted the play at 6.40pm, but there was no let up in intensity for Gayle as he resumed his innings with a huge six over long off to complete his 50 in only 28 balls. There was further setback in store for KKR as their big-hitting Jamaican Andre Russell was taken off in the fourth over after he seemed to have aggravated his already troubled hamstring. 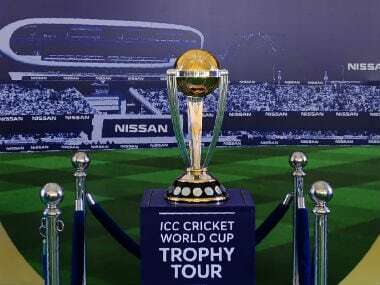 Gayle had launched into Russell hitting two sixes and a boundary when Russell was seen clutching his right thigh as Nitish Rana completed the over. 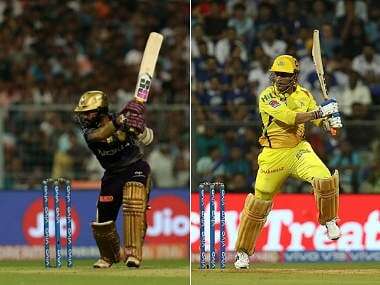 Gayle and Rahul mainly dealt in boundaries against the KKR pace attack of Shivam Mavi and Russell as there seemed to be a race to who will reach the 50-run mark first between them. The Powerplay overs yielded 73 runs and that killed the contest. Yadav's first over was taken for 13 runs. Earlier, Chris Lynn, who has had a quiet time so far, got into his groove in his 74 off 41 balls (6x4, 4x6) en route to his maiden half-century in this IPL to lift KKR to a challenging 191/7. 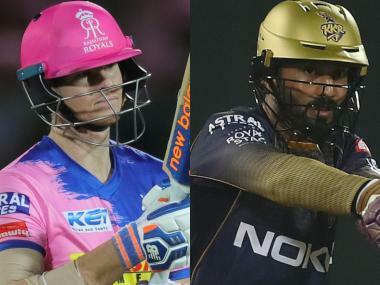 Lynn stitched two crucial fifty-plus partnerships in the middle -- first 72 runs from 41 balls with Robin Uthappa (34) and then 62 off 34 balls with Dinesh Karthik (43) -- to help KKR overcome a shaky start after they were sent in to bat by Ravichandran Ashwin. At 146/3 in 15 overs with Lynn and Karthik looking in rampaging form, KKR looked to go beyond the psychological 200 runs' barrier but KXIP pegged back conceding just 11 runs in the last two overs. Andrew Tye (2/30 in 4 overs) induced a bottom edge off Lynn as KKR lost four wickets for 39 runs including that of dangerous Russell (10). Tye and Barinder Sran returned with two wickets apiece as the duo made the difference in restricting KKR under-200. Having leaked 29 runs from first two overs, Sran returned strongly to take the two key wickets of Russell and Karthik with some smart slow deliveries to return with 2/50. KKR got off to a poor start and were reduced to 6/1 in the second over when Sunil Narine was dismissed by Mujeeb ur Rahman off his third ball. But there was no further damage as Lynn and Uthappa counter-attacked the KXIP bowlers to rebuild the innings. Uthappa smashed Mujeeb for three boundaries in a row in his second over that yielded 15 runs as KKR quickly recovered to 50/1 after the Powerplay. But the biggest assault came against Sran who leaked 23 runs that included three sixes, two by Lynn, with the duo racing to 72 runs partnership in 41 balls. First ball after the time out and Ashwin dismissed Uthappa as KKR lost two wickets in seven runs before Lynn and Karthik stole the show from KXIP.